To the uninitiated, choosing a river cruise can be daunting. In Europe alone, more than two dozen companies offer extended river cruises. The first thing you want to know is what differentiates each company from another? Complicating matters is that all river cruisers operated by all companies, with few notable exceptions, are built on the same platforms. That means they all look pretty much alike, with the same number of decks and measuring the same dimensions. The exceptions are Crystal Mozart and the coming this spring, AmaMagna, both of which are double the width of the traditional river cruiser. 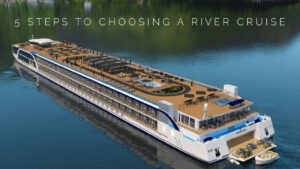 Aside from those two exceptions, river cruises can’t be differentiated by size, or for the most part, features. Nearly all offer similar-sized staterooms, lounges, restaurants and sun decks, and that’s about it. Some, and certainly not all, offer alternative dining venues, gyms, mini-spas and salons. The next thing you should ask is, what’s important to you? Bikes, hikes, booze 24/7, fine dining, alternative dining venues, step-out balconies, French balconies, dual balconies, king-sized beds, butler service – and the list goes on. To those of you looking out on the vast armada of river cruises, the picture is fuzzy and confounding. With a little help, it doesn’t have to be so hard. I found that the process of matching the right personality to the right ship can be broken down into five steps. It’s not a perfect formula, but going through the process can help you choose the perfect river cruise for you. 1. Where Do You Want To River Cruise? Is Italy’s Po River on your list? Then you’re in luck. There are only a couple of river cruise companies that do the Po, CroisiEurope and Uniworld. Want to cruise the Rhine or Danube? That’s where things become complex. 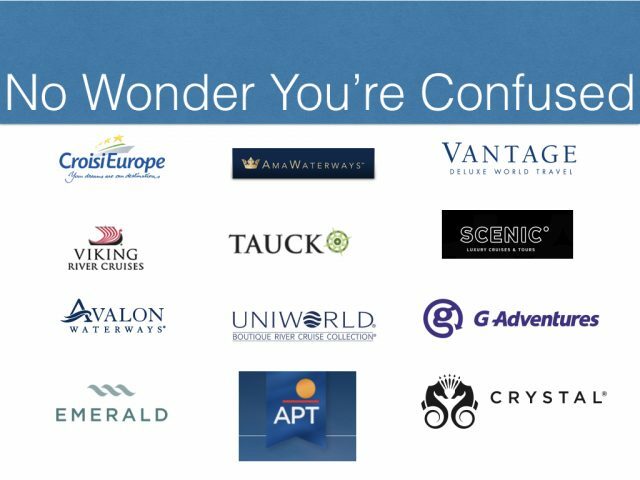 Nearly every major river cruise company has ships operating on those rivers. So let’s make this simple. 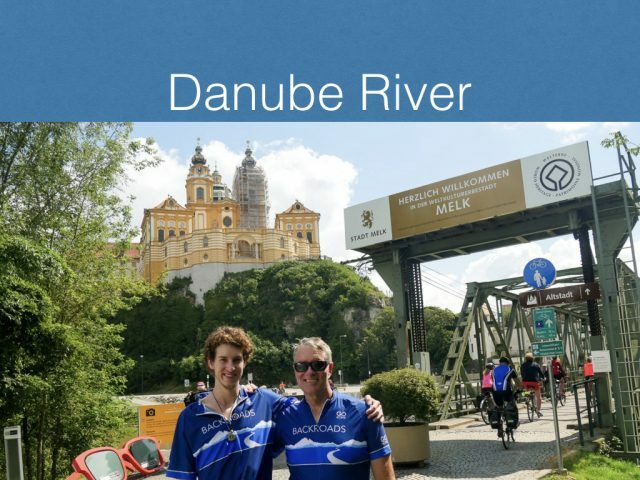 The Danube is our number one choice for people new to river cruising. Why? The Danube features a list of marquee cities – Nuremberg, Passau, Linz, Vienna, Budapest, Bratislava (as well as Bucharest and Belgrade on some itineraries) and it offers something for everyone. 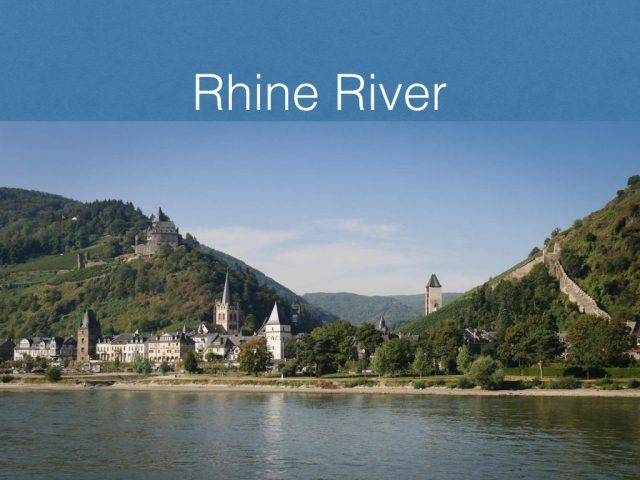 After the Danube, the Rhine is Europe’s next most-popular river cruise destination. Most departures sail between Amsterdam and Basel. Castles. You’ll see lots of them along the Rhine river, especially between Rudesheim and Koblenz, Germany. Culture. With cities like Heidelberg, Strasbourg, Cologne, Amsterdam and more, you’ll get a good dollop of city life and culture on your Rhine River cruises. Beer and wine. Have a Cologne Kolsch before or after checking out the impressive Cologne Cathedral (a UNESCO World Heritage Site), or stroll the “world’s merriest street,” known as the Drosselgasse, to find a Weingarten in Rudesheim, Germany. 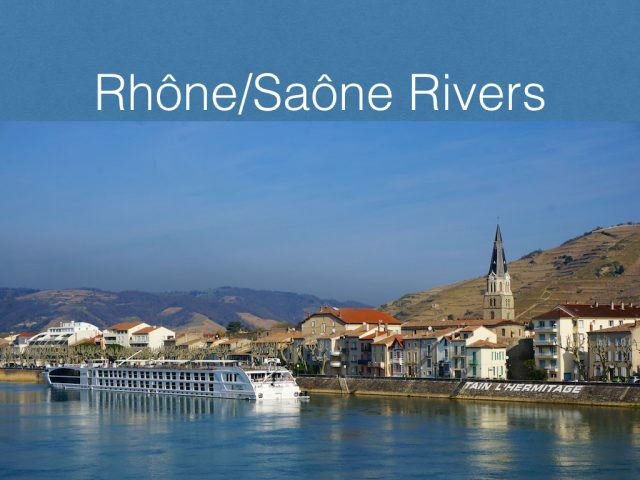 Rhône River cruises typically are between Lyon and Avignon or Arles in France. 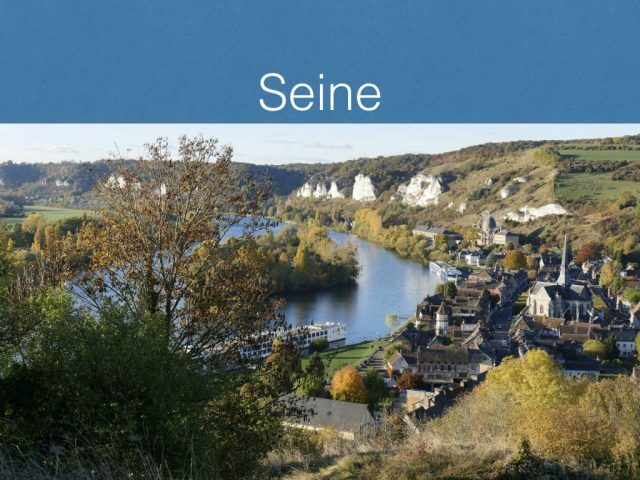 Many packages also include the Saône River, which joins the Rhône in Lyon. Here’s a few things that people enjoy about Rhone river cruises. Bicycling. I’ve enjoyed cycling along the Rhône and Saône rivers though the wine-producing region of Beaujolais and across from the city of Avignon. On a Seine River cruise, you most always begin and end your trip in Paris, where ships dock within walking distance of the Eiffel Tower. Cruises are usually roundtrip to Rouen, Caudebec-en-Caux or Honfleur. To my knowledge, only CroisiEurope and a single Scenic ship can dock in the center of Honfleur. The rest of the river cruisers bus their guests from Rouen or Caudebec-en-Caux. 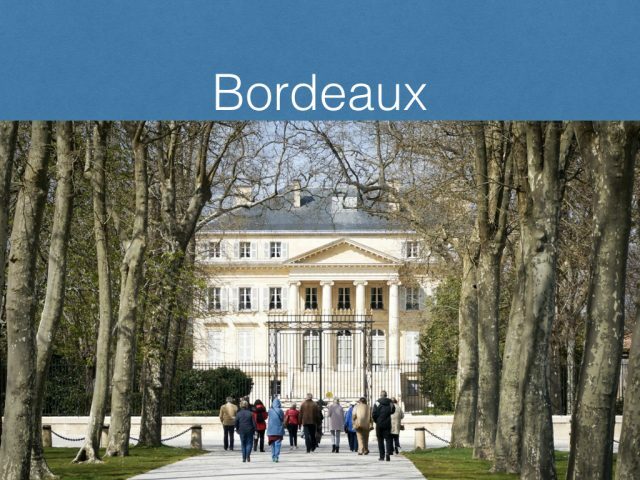 Once overlooked by river cruise companies, the wine-producing region of Bordeaux, attracts river cruisers who are wine aficionados as well as history lovers, thanks to the region’s intoxicating mix of culinary delights and old-world charm. The vast majority of river cruises through this region will operate roundtrip from the city of Bordeaux, and most (but not all) are a week in duration. Those looking for longer voyages have the option to purchase pre-and-post land excursions to Paris or the Loire Valley. A handful of river cruise lines combine multiple river cruises together on back-to-back itineraries that are connected either by direct TGV high-speed train or by overland motorcoach travel. For those who prefer longer river cruises, Scenic offer 12-day Bordeaux voyages. 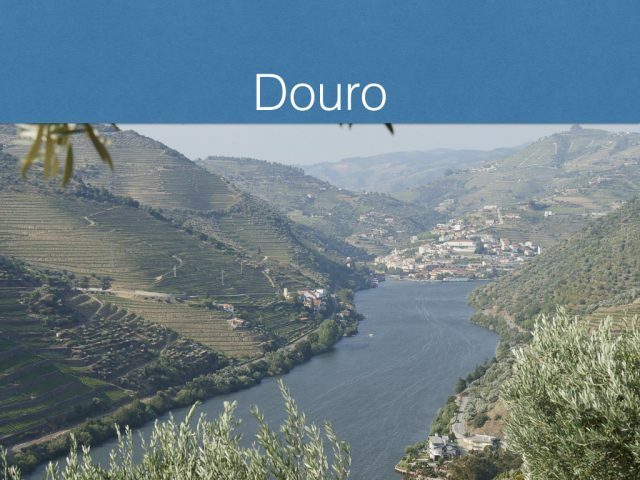 Douro River cruises are from Porto, Portugal to Vega de Terron, Spain. Most trips are roundtrip from Porto. The Douro River Valley has been a UNESCO World Heritage Site in 2001. It’s not only gorgeous but also culturally significant. Friendly people. The Portuguese are among Europe’s friendliest people. Port wine and paella. You get a mix of Portugal and Spain on Douro River Cruises. That means good Port wines from Portugal and paella from Spain, along with Flamenco dancers and Portuguese pingo (like espresso). Both of these rivers are exceptionally shallow, and the only company that does them well is CroisiEurope. 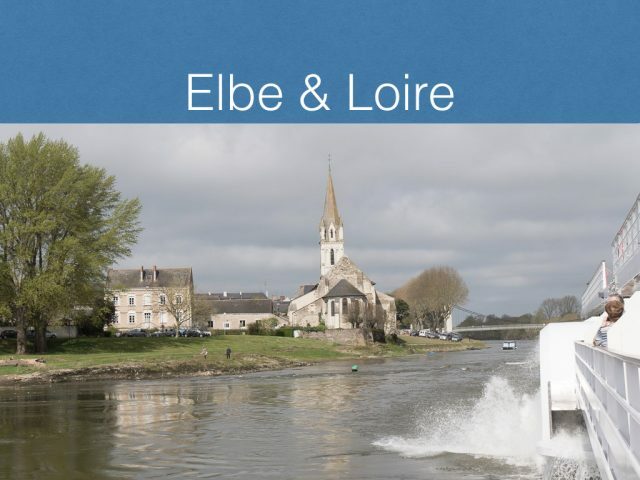 It does so by operating three paddlewheelers, one on the Loire and two on the Elbe, that can navigate the shallow rivers. On the Elbe, CroisiEurope’s paddlewheelers can cruise right into the center of Prague from Berlin. On the Loire, CroisiEurope’s cruises are roundtrip from Nantes, a lovely city that merits a day or two pre/post. 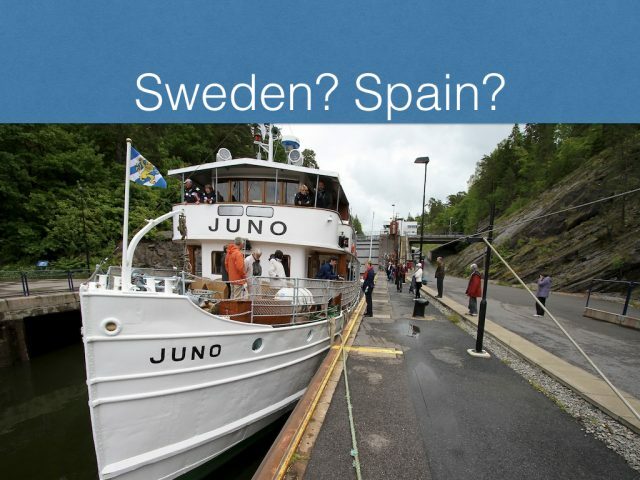 Yes, you can cruise across Sweden on the Gota Canal. We’ve done it, and it was wonderful. You can also river cruise in Spain and you can do canal cruises in the United Kingdom, but we’ll stay focused on the rivers that most of you are selling. Next, decide how much you are willing to budget for your river cruise. I’ll give some general guidelines here, but remember that pricing is a moving target. All are the most inclusive of among the river cruise companies, including the all-important (to some) prepaid gratuities. You should be prepared to spend between $400 and $600 per day. None of these offer 24/7 booze or prepaid gratuities (except as add-on packages or for some suite guests), but all are exceptionally good choices that rank high in pleasing their guests. A budget of up to $200 per person per day often, but not always, limits you to either older or international ships. Excursions may not be included (but can be purchased as a package). Wine and beer with lunch and dinner, which nearly all cruise companies include at no additional cost, may not be included on the low-cost river cruise operators. 3. How Many Are Cruising With You? If the answer is no one, then you have to deal with the dreaded single supplement. That means you could end up paying the same price as two people in a cabin. Always look at ways to avoid the single supplement. Some ships have staterooms just for singles. Other cruise companies have specials where they reduce or waive single supplements. On the flip side, if you are bringing a group, well, lucky you. There are all sorts of perks for groups, including free cabins. This is where you’ll really have to do your homework to determine what’s important to you. We’re happy to help. Simply complete our Get My Recommendations form and we’ll get back to you, usually with a few hours. Finally, when do you want to cruise? Do you want to see tulips in bloom? Christmas Markets? Grape harvest? Fall foliage? Avoid the crowds? Avoid the heat? One last thought is about water levels. Will your cruise be affected by high or low water levels? There is no way to know for sure. We hope that 2018 was anomaly and that 2019 will usher in a season of smooth sailing. Hopefully, these five steps will help you come closer to matching you to the perfect destination on a ship that suits your style.